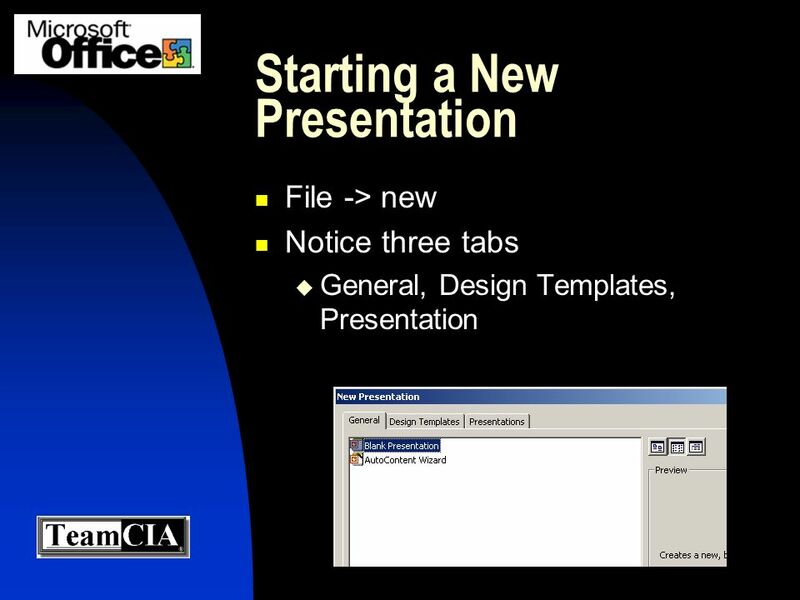 PowerPoint 2000 A Quick Overview Take a Tour by Microsoft.ComTour Using PowerPoint From Microsoft.Com Using Check Your MOUS SkillsSkills BrainBUZZ.Com. 13 That Should Get You Started ! Give it a try Explore Try for yourself Need Help? Just ask me! 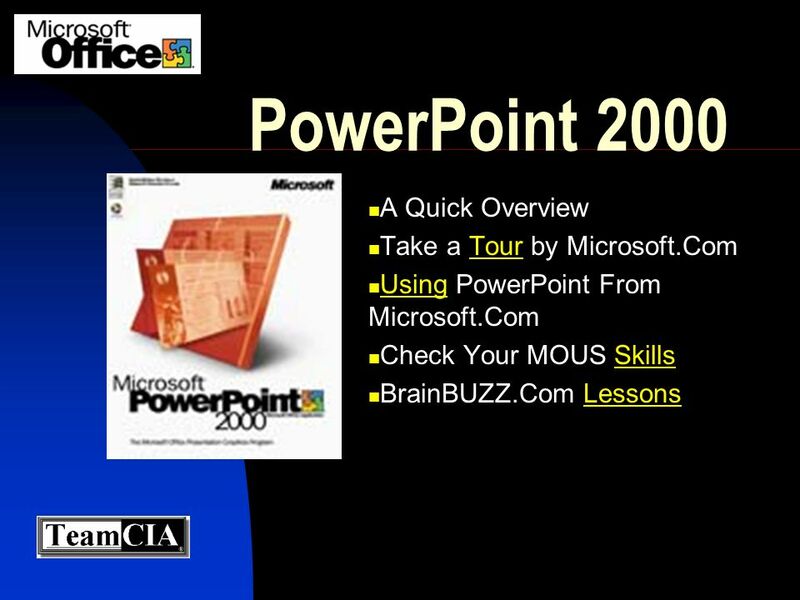 Download ppt "PowerPoint 2000 A Quick Overview Take a Tour by Microsoft.ComTour Using PowerPoint From Microsoft.Com Using Check Your MOUS SkillsSkills BrainBUZZ.Com." 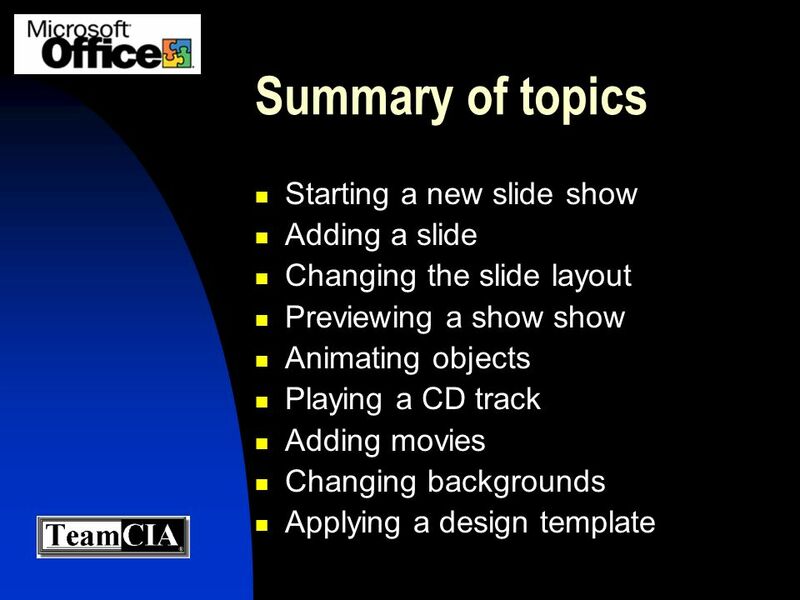 How To Use PowerPoint A Brief Introduction to Commonly Used Features By Ryan McKenzie. Objectives Create a new presentation. 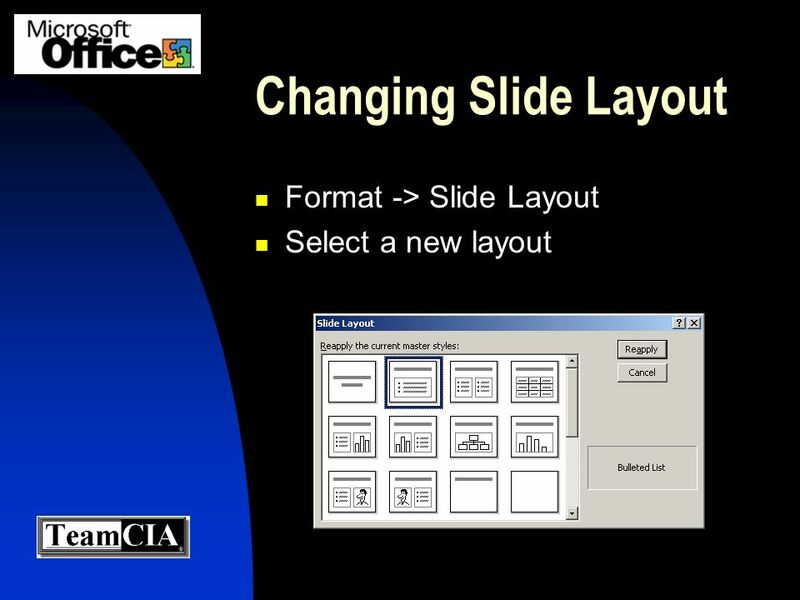 Format slides. 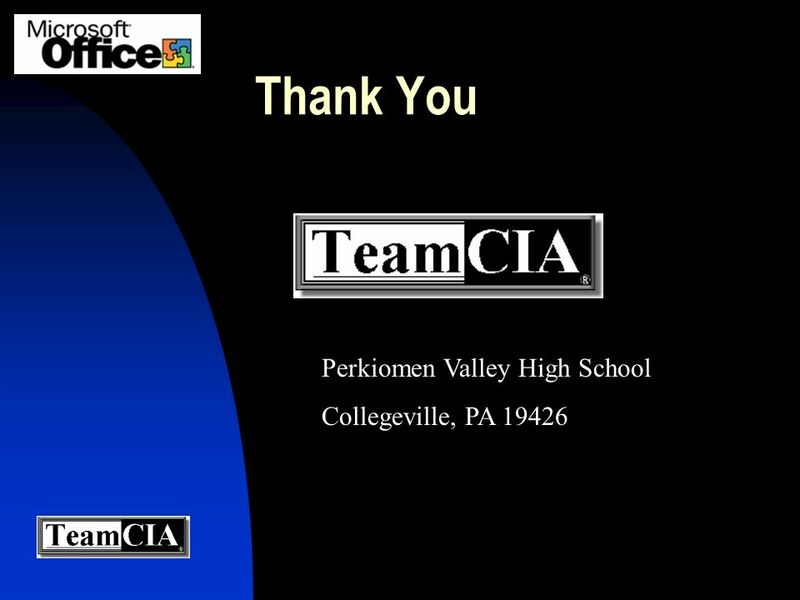 Review – Presentations with Graphics & Multimedia © 2010, 2006 South-Western, Cengage Learning. 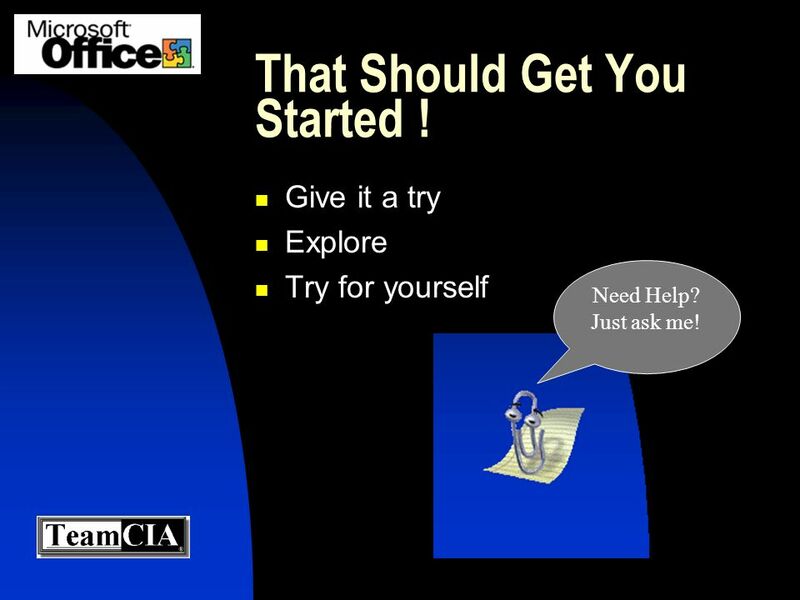 Let’s Learn Microsoft PowerPoint 1.Click on start 2.All Programs 3.Microsoft Office 4.Microsoft Office Power Point 5.Click on program to open. 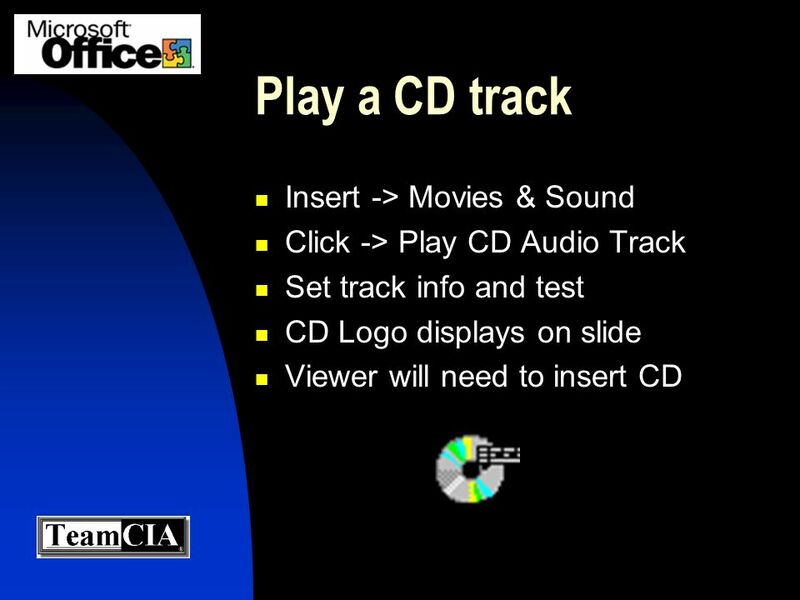 Inserting Pictures & Sounds into a PowerPoint Presentation Mary Trewatha Yankton TTL June 2002. 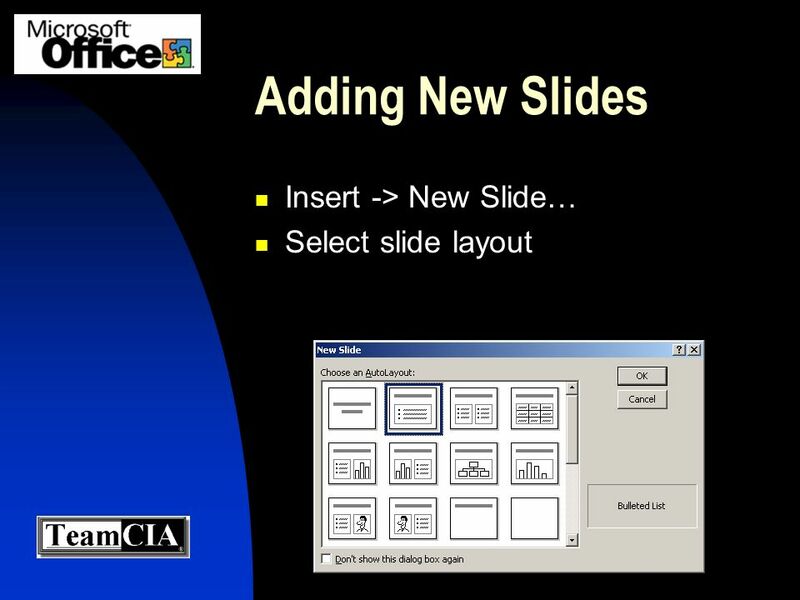 PowerPoint Slideshows How to Create a GREAT Presentation. 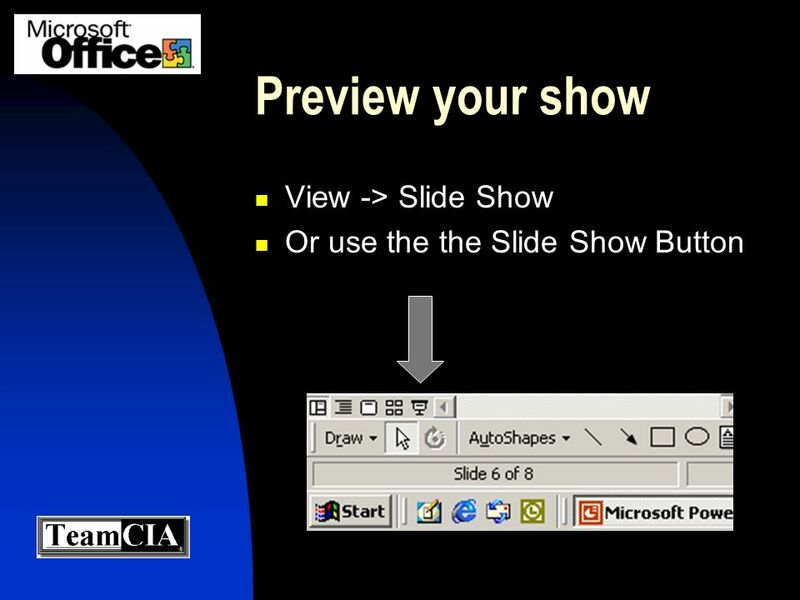 PowerPoint has 5 Views that must be seen clearly 1.Your computer screen 2.Presentation screen 3.Print out for the audience 4.Outline 5.Notes Page You need. 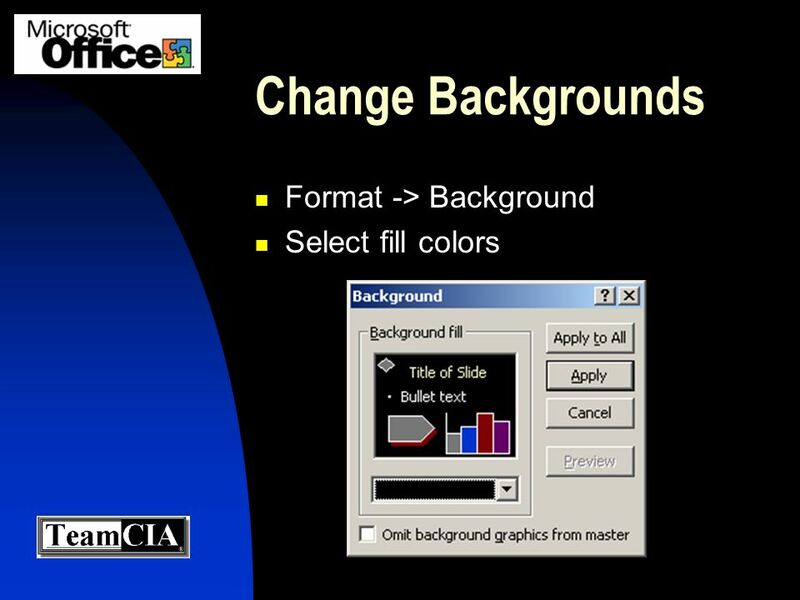 PowerPoint 2 Demonstration for PPT 138 Cases and Places Example 1. 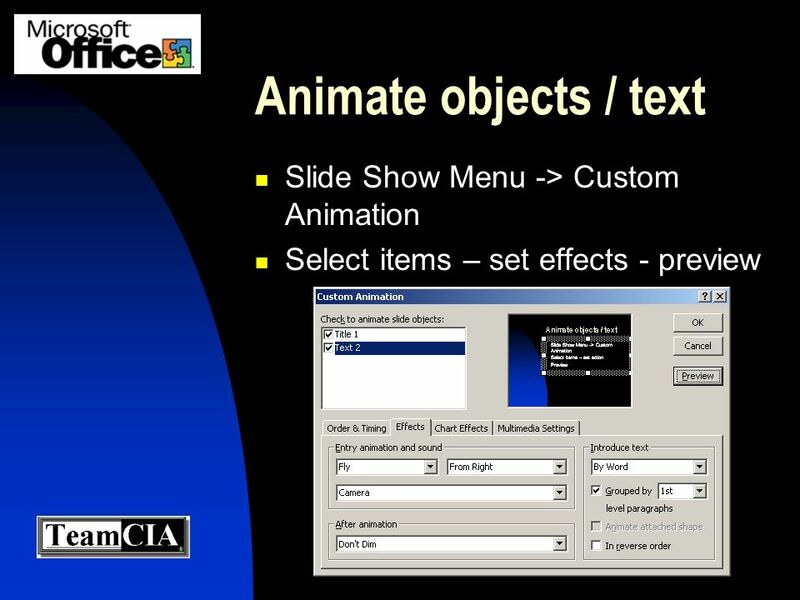 Microsoft Office Illustrated Inserting Illustrations, Objects, and Media Clips. Computer Science 5 Spring 2007 Module 3 7/12/2015 1:55:57 PM7/12/2015 1:55:57 PM7/12/2015 1:55:57 PM. Create a Narrated Story with PowerPoint. Basics Enter Text. (Click in the text box and start typing. If a text box is not visible, go to Insert > Text. Master Slide. Why Create a Master Slide Allows you to create slide layouts EXACTLY how you want it Keep things consistent from one slide to the next Save. 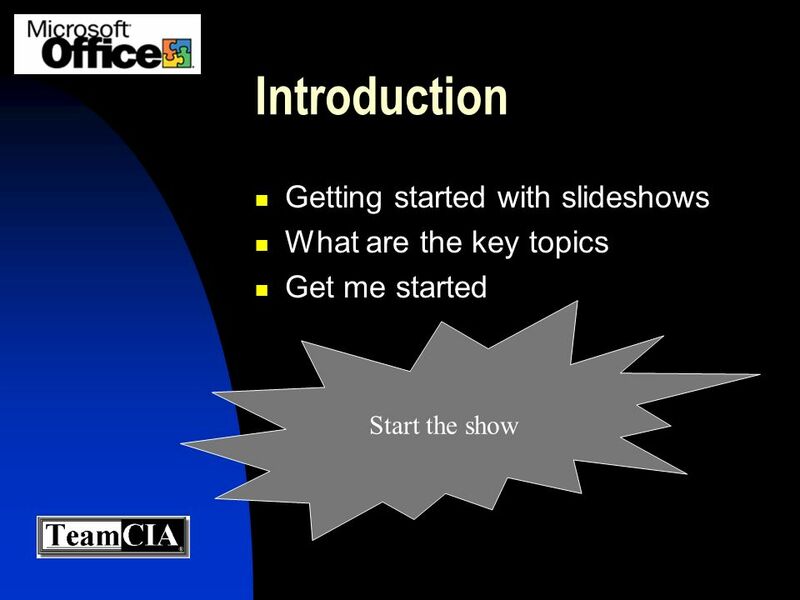 1 Getting Started with PowerPoint The following slides outline the steps to planning and creating your PowerPoint slide show presentation. 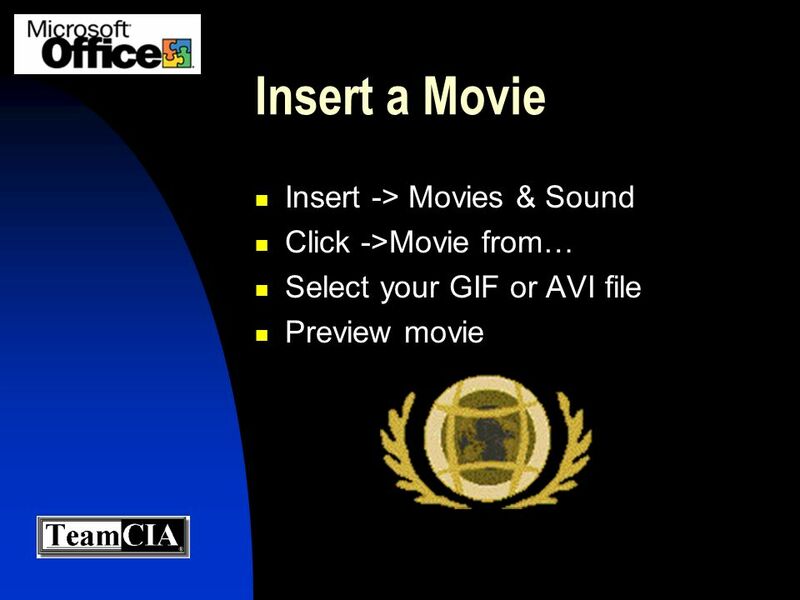 Inserting Movies & Sound ICS101 Fall Where to go when inserting movies or sound files… You will always go to Insert  Movies and Sounds. 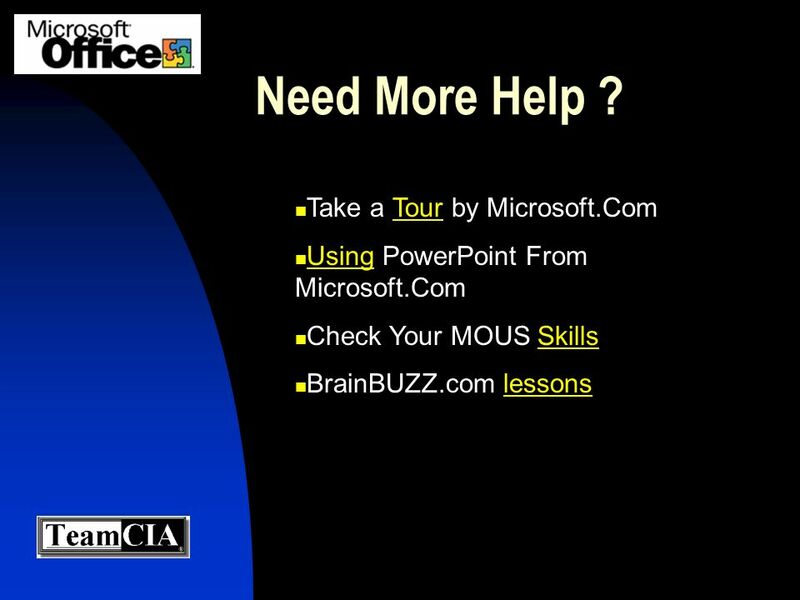 Let’s Learn Microsoft PowerPoint. 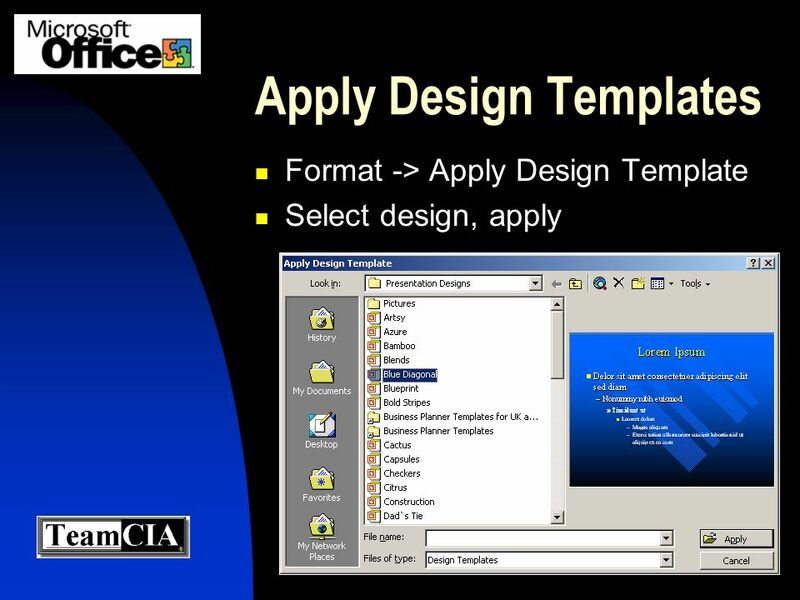 1.Click on start 2.Place mouse pointer on All Programs 3.Move mouse pointer to right. 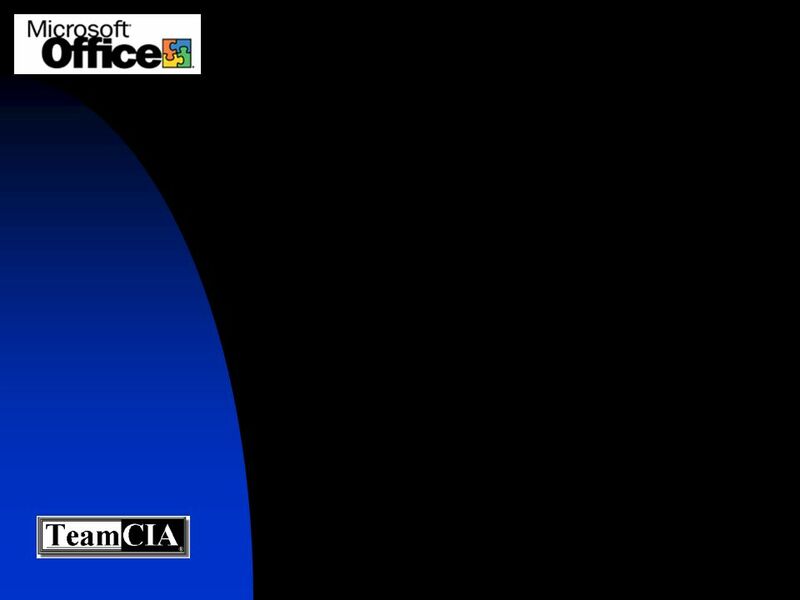 Place pointer on Microsoft Office.